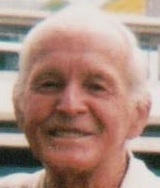 William Costa Jr., 87 of Pauoa, Hawaii died Nov. 2, 2016 at Kaiser Permanent Hospital in Moanalua. He was born in Honolulu, Hawaii on Dec. 19, 1928. William Costa Jr. was known by many names: Bill, Costa, Jr., Uncle and of course Grandpa/Papa. He is survived by Anna and Katherine Sullivan and was preceded in death by his parents William & Mabel Costa and his brothers Clarence and Harold. He is also survived by his brother John and his sisters in-law as well as his many nieces and nephews. William Costa Jr. being the dutiful son looked after his parents until their passing. He graduated from McKinley High School and than served 2 years in the Army Stationed at Schofield Army Base. William retired from the State of Hawaii as a Construction Inspector and soon after went on to work for Bowers & Kubota for many years. In his spare time he kept himself busy with yard work and watching basketball & volleyball games at Booth Park, as well as baseball games at the Ala Wai Field. He also loved traveling to California to visit friends. Grandpa we Love You and Miss You but we know You are watching out for us. Until we meet again.